could help with the world’s energy problems. There is enough solar and wind energy for all of us on this planet – we do not need nuclear or fossil fuel. 1% of the solar energy of the deserts of the sahara would be enough to power all of europe – no need for France’s 36 nuclear reactors pollutiong the air with nuclear radiation that causes cancer. My mother died of ovarian-cancer so i know what i am talking about. believe me it’s not the way you want to die. at the age you want to die. First Exxon lobbied with millions of Dollars to spread doubt about Climate-Change – while beeing aware since decades through own studies that it exists. Now the Koch-Brothers are spreading doubt. This documentary reveals how the Koch Brothers have used their vast wealth to ensure the American political system takes no action on climate change, and are attempting to buy the 2016 Congressional elections. 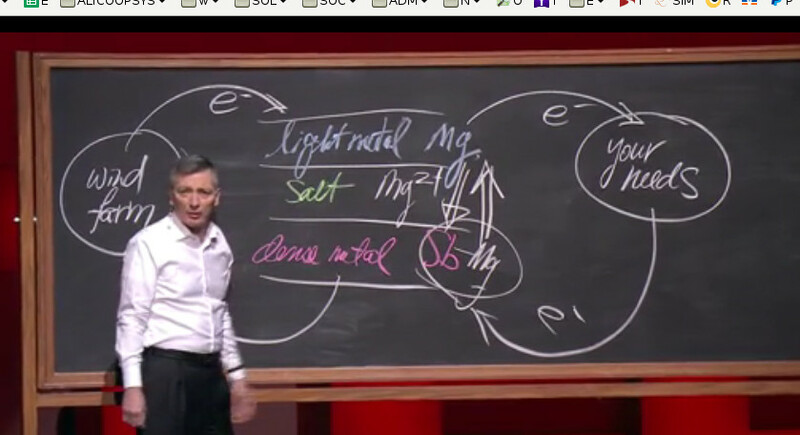 Now lets meet the batteries Liquid-Metal Battery is cheap and can store 2MegaWatts of Power. Bioo offers two to three charges per day at 3.5V and 0.5A via a USB port that’s cleverly disguised as a rock. The pot uses organic materials that react with the water and organic matter from the plant’s photosynthesising. This creates a reaction that generates enough power to charge gadgets. Lithium-air means using oxygen as the oxidiser, rather than a material. The result is batteries that can be a fifth of the price and a fifth as light as lithium-ion, plus they could make phones and cars last five times longer. The new discovering was made at Dallas University and should help push developments in lithium-air forward. Of course, like a all research, this could still be five to ten years away from becoming a reality. Lithium-Luft-Batterien können potenziell zehn Mal mehr Energie speichern als Lithium-Ionen-Batterien und gelten daher als vielversprechend. Die Super-Batterien sind besonders für die Elektromobilität interessant, stecken aber teilweise noch in den Kinderschuhen, beispielsweise was die Leitfähigkeit der Elektroden betrifft. In Zusammenarbeit mit der schottischen St. Andrews University haben Batterieforscher der Technischen Universität Graz (Österreich) die Leitfähigkeit und Effizienz der Lithium-Luft-Batterie nun entscheidend verbessert. Die Arbeit wurde in der aktuellen Ausgabe des Fachjournals „Nature Materials“ publiziert. Lithium-Luft-Batterie besonders gut für Elektro-Fahrzeuge geeignet Obwohl sie als leistungsfähige Energiespeicher in Notebooks und Handys zu finden sind, haben Lithium-Ionen-Batterien gravierende Nachteile, etwa beschränkte Energiekapazitäten und rasch auftretende Alterserscheinungen. Insbesondere in Elektrofahrzeugen könnte die Lithium-Luft-Batterie an ihre Stelle rücken, sagen die Forscher. Sie beruht auf leichten Sauerstoff- statt auf schweren metallischen Ionenstrukturen. Zudem kommt sie im Gegensatz zur Lithium-Ionen-Batterie ohne teure und begrenzt verfügbare Übergangsmetalle wie Kobalt, Nickel oder Mangan aus. Die Grazer Wissenschaftler haben nun entscheidend zur weiteren Ausreifung der Lithium-Luft-Batterie beigetragen, indem sie für die Elektrode Titancarbid statt Kohlenstoff verwenden. Der Stoff sorge für eine saubere Zellreaktion und erhöhe damit die Energieeffizienz und die Lebensdauer der Batterie. „Die Batterie kann so bei höherer Belastung betrieben werden, und es gibt weniger Verlustleistung, das heißt, sie erwärmt nicht so stark“, erklärt Stefan Freunberger. Als nächsten Schritt wollen die Batterieforscher die Porosität der Titancarbidstruktur mittels eines neuen Syntheseweges erhöhen und so die Energiekapazität weiter steigern. Im Rahmen eines Auslandsaufenthaltes in St. Andrews hat sich Stefan Freunberger vom Institut für Chemische Technologie von Materialien der TU Graz mit schottischen Kollegen eingehend mit der Leitfähigkeit von Elektroden in Lithium-Luft-Batterien befasst. Üblicherweise wird dafür Kohlenstoff in Form von Ruß verwendet. In der Lithium-Luft-Batterie heißt der Reaktionspartner Sauerstoff, und dieser greift die Kohlenstoffoberfläche an frühzeitige Nebenreaktionen, die die Wiederaufladbarkeit verringern, sind die Folge. Die Forscher haben daher erstmals titancarbid-basierte Elektroden untersucht und wurden positiv überrascht: Das Titancarbid sorgt für eine saubere Zellreaktion und erhöht damit die Energieeffizienz und die Lebensdauer der Batterie. Die Batterie kann so bei höherer Belastung betrieben werden und es gibt weniger Verlustleistung, das heißt, sie erwärmt nicht so stark, führt Stefan Freunberger aus. Als nächsten Schritt wollen die Grazer Batterieforscher die Porosität der Titancarbidstruktur mittels eines neuen Syntheseweges erhöhen und so die Energiekapazität der luftigen Batterietechnologie der Zukunft weiter steigern. 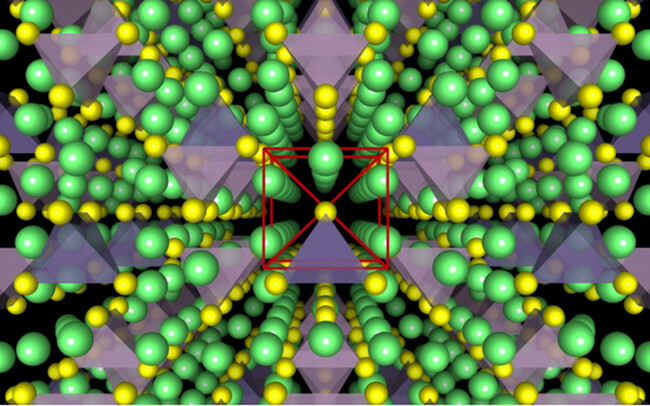 Originalpublikation: Muhammed M. Ottakam Thotiyl, Stefan A. Freunberger, Zhangquan Peng, Yuhui Chen, Zheng Liu & Peter G. Bruce: A stable cathode for the aprotic LiO2 battery. Nature Materials, November 2013, Volume 12. Page 1050. 2013. AU  - Ottakam Thotiyl, Muhammed M.
AU  - Freunberger, Stefan A. AU  - Bruce, Peter G.
AB  - Rechargeable lithium–air (O2) batteries are receiving intense interest because their high theoretical specific energy exceeds that of lithium-ion batteries. If the Li–O2 battery is ever to succeed, highly reversible formation/decomposition of Li2O2 must take place at the cathode on cycling. However, carbon, used ubiquitously as the basis of the cathode, decomposes during Li2O2 oxidation on charge and actively promotes electrolyte decomposition on cycling. Replacing carbon with a nanoporous gold cathode, when in contact with a dimethyl sulphoxide-based electrolyte, does seem to demonstrate better stability. However, nanoporous gold is not a suitable cathode; its high mass destroys the key advantage of Li–O2 over Li ion (specific energy), it is too expensive and too difficult to fabricate. Identifying a suitable cathode material for the Li–O2 cell is one of the greatest challenges at present. Here we show that a TiC-based cathode reduces greatly side reactions (arising from the electrolyte and electrode degradation) compared with carbon and exhibits better reversible formation/decomposition of Li2O2 even than nanoporous gold (>98% capacity retention after 100 cycles, compared with 95% for nanoporous gold); it is also four times lighter, of lower cost and easier to fabricate. The stability may originate from the presence of TiO2 (along with some TiOC) on the surface of TiC. In contrast to carbon or nanoporous gold, TiC seems to represent a more viable, stable, cathode for aprotic Li–O2 cells. Great minds over at the University of California Irvine have cracked nanowire batteries that can withstand plenty of recharging. The result could be future batteries that don’t die. Nanowires, a thousand times thinner than a human hair, pose a great possibility for future batteries. But they’ve always broken down when recharging. This discovery uses gold nanowires in a gel electrolyte to avoid that. In fact these batteries were tested recharging over 200,000 times in three months and showed no degradation at all. This could be ideal for future electric cars, spacecraft and phones that will never need new batteries. Scientists have discovered a way to harness magnesium for batteries. This means smaller, more densely packed units that won’t need shielding. In the long run that should mean cheaper batteries, smaller devices and less reliance on lithium-ion. Just don’t expect to see these appear soon as they’re still in the developmental stages. The result is a battery that can operate at super capacitor levels to completely charge or discharge in just seven minutes – making it ideal for cars. Since it’s solid state that also means it’s far more stable and safer than current batteries. 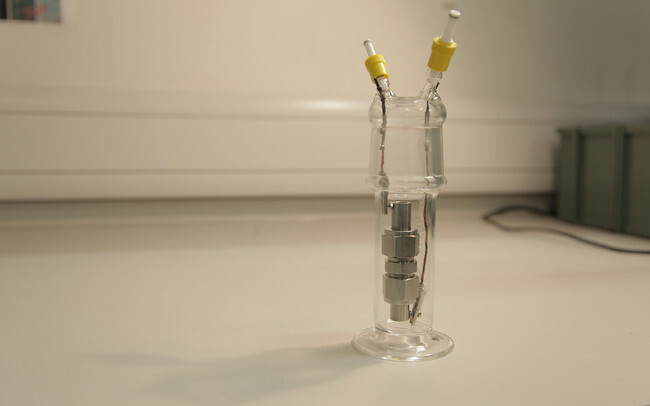 The solid-state unit should also be able to work in as low as minus 30 degrees Celsius and up to one hundred. The electrolyte materials still pose challenges so don’t expect to see these in cars soon, but it’s a step in the right direction towards safer, faster charging batteries. A new fuel cell has been developed that could mean phones only need to charge once a week and drones stay airbourne for over an hour. Scientists at Pohang University of Science and Technology in South Korea have, for the first time, combined porous stainless steel with thin-film electrolyte and electrodes of minimal heat capacity. 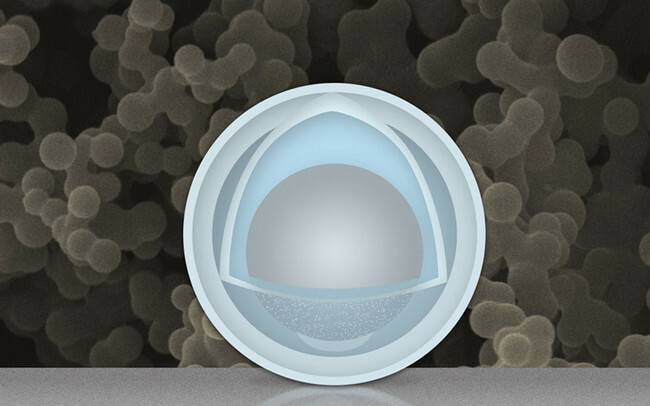 The result is a battery that’s more durable and longer lasting than lithium-ion. Development for phones, drones and even electric cars is expected to follow the announcement. Since it’s South Korea we may even see it in the next Samsung Galaxy S8 smartphone. University of Cordoba -> http://www.uco.es … google refuses to auto-translate the whole video… suspcicious filtering going on? The capacity of the 2.3V Grabat is huge with around 1000 Wh/kg which compares to lithium ion’s current 180 Wh/kg. The best part of all this is that these batteries should be ready to go by mid way through 2016. By using lasers to burn electrode patterns into sheets of plastic manufacturing costs and effort drop massively. The result is a battery that can charge 50 times faster than current batteries and discharge even slower than current supercapacitors. They’re even tough, able to work after being bent over 10,000 times in testing. Current lithium-ion batteries rely on an electrolyte liquid to transport charged particles between the two electrodes. It’s this liquid that can be flammable and which degrades the battery, limiting life. 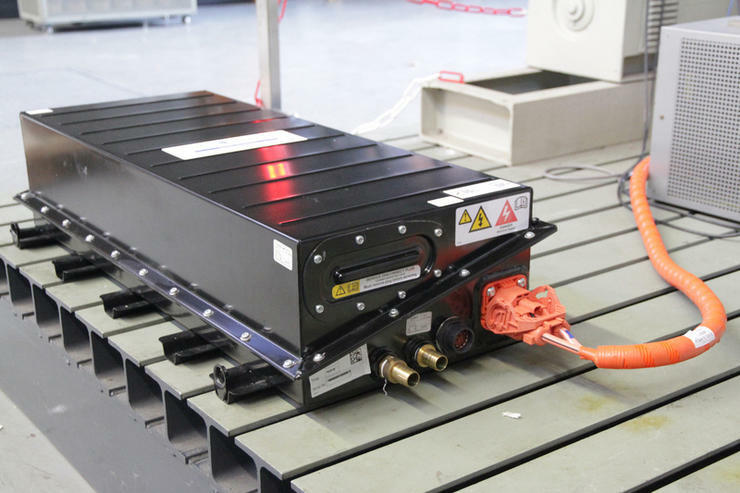 According to the MIT report these new batteries could be charged for hundreds of thousands of cycles before degrading. They could also provide a 20 to 30 per cent improvement in power density meaning that much more charge for whatever they are powering. And they aren’t flammable so they’re ideal for electric cars. Scientists at Stanford University have developed an aluminium graphite battery that could replenish to full in a smartphone in just a minute. 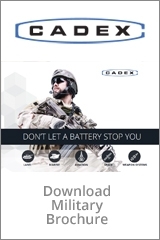 Their aluminium graphite batteries are flexible, long lasting and charge ridiculously fast. The only issue is they hold about half the power of a current lithium battery, but with charging to full in just a minute that’s not too much of a problem. A breakthrough in aluminium-air batteries means that in the future we should see the release of the Alfa battery that has 40 times the capacity of lithium-ion. This battery will be able to recharge by simply being topped up with water, be it salty or normal. It should last a hefty 14 days, according to its creators Fuji Pigment and will be out later this year. We’d expect to see these batteries appear in cars first – imagine a fuelling station being anywhere with a water tap. Hopefully mobiles will be next in line. While the aluminium-air battery has a whopping 8,100W/kg capacity and lithium-ion has 120-200Wh/kg it’s still lithium-air that comes out on top with 11,400Wh/kg – although when this will be available isn’t clear. The result means smartwatches could use a flexible strap battery for longer life and smaller build. Looking a little further forward it’ll be ideal for weaving power into smart clothes that monitor our health. The initial battery prototype is slightly larger than it could be, meaning it’s less flexible too. 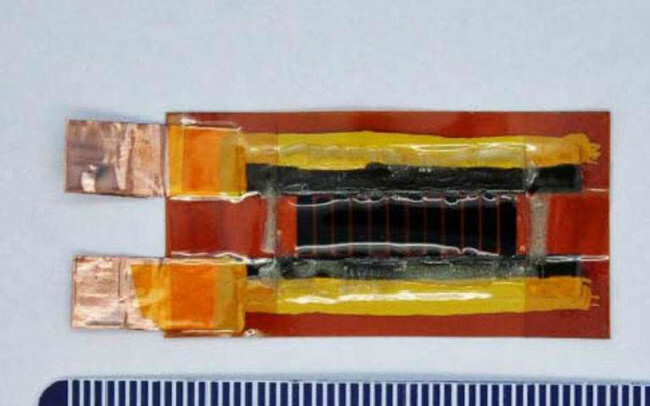 Despite this the scientists managed to power a Samsung Gear 2 using a flexible band with the batteries inside. 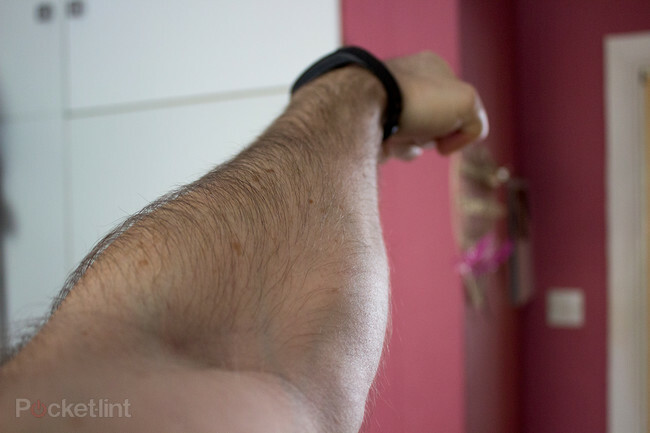 This was stretchy enough to move from the wrist to the bicep, and move with flexing, while still powering the smartwatch. The key here is that this uses current tech but just changes the way it’s developed. For that reason it could be mass-produced today. Get ready for thinner smartwatches plus clothing with brains and power built in, soon. 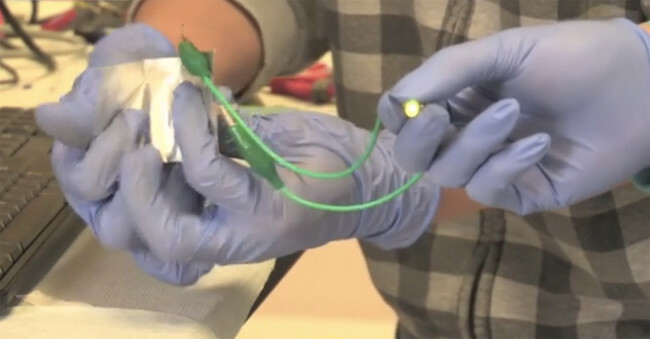 Using the power of friction a device has been created that can harness electricity from a person’s skin. The result is enough power, from a finger tap on skin, to power 12 LED bulbs. The future could mean there are no need for batteries in wearables or smart clothes. The Lumopack is a portable battery that’s all about fast charging. The battery can fill up in just 6 minutes with enough to charge an iPhone 6 fully. Yes the iPhone will take longer to drain that power from the battery but you’ll have the Lumopack ready in that short time. The Lumopack, from Lyte Systems, will be fully charged in just 30-minutes. This is thanks to its charge rate at 140W, making it double the nearest competitor. The Lumopack will be available from $90, which is about £63, and ships in March. 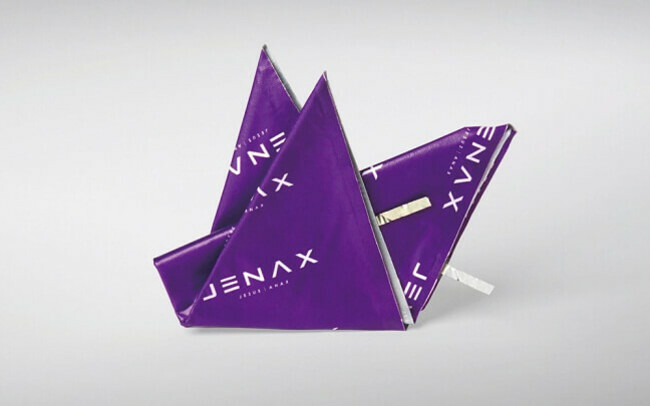 The Jenax J.Flex battery has been developed to make bendable gadgets possible. 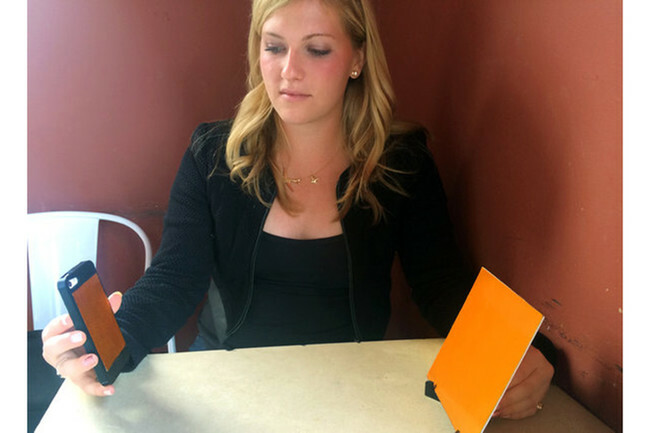 The paper-like battery can fold and is waterproof meaning it can be made in clothing or wearables. Imagine a battery built into the strap of a smartwatch, finally battery life on wearables won’t be such an issue while allowing the size of the devices to be shrunk down. Another possible development from this advancement would be foldable tablets that you could fit into your pocket just like a phone. Then when you want a big screen view simply unfold the tablet and you’re all set for viewing. uBeam uses ultrasound to transmit electricity. Power is turned into these sound waves to be transmitted and then converted back to power on reaching the device. Expect to see uBeam as a viable upgrade to your gadgets this year or early next. This one is still in the early stages but MIT scientists have found a way to harvest power from water dew. The device uses interleaved flat metal plates to produce power from the water dew in the air. 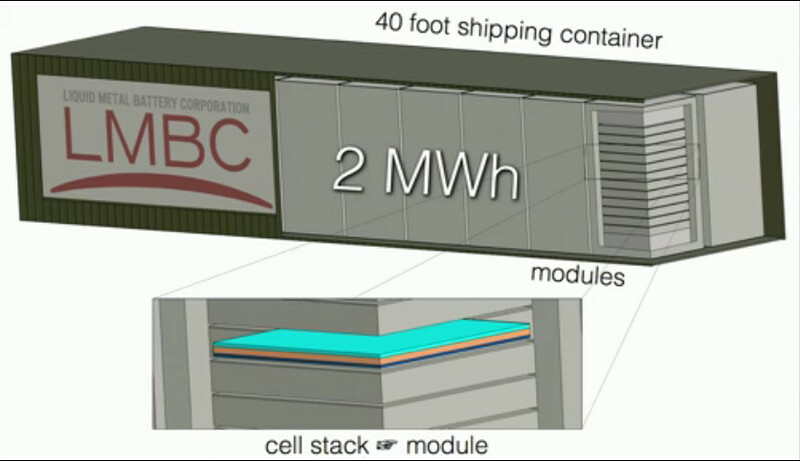 Initial tests have produced small amounts of power, at 15 picowatts, or trillionths of a watt. 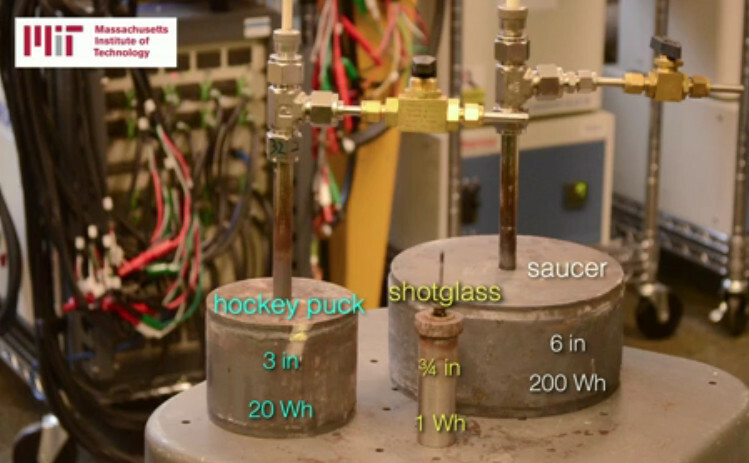 But this can be tuned easily, says postdoc Nenad Milijkovic heading the project, to produce at least 1 microwatt. While this small amount of power isn’t going to replace your charger, or keep it powered all day, it will be useful in more remote locations where no other power source is available and time isn’t too much of an issue. A charger the size of a coolbox lid should be able to fully charge a phone in 12 hours. 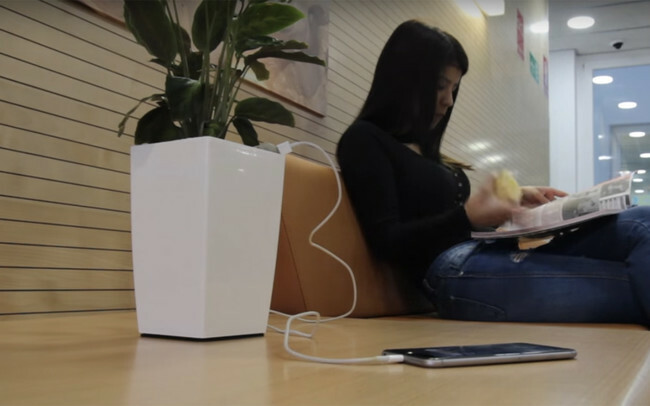 The StoreDot charger, which works with current smartphones, was developed by StoreDot, a start-up born from the nanotechnology department at Tel Aviv University. The demo was made using a Samsung Galaxy S4 with a standard battery. The superfast charging time was achieved using technology StoreDot has been developing. This includes biological semiconductors made from naturally occurring organic compounds known as peptides – short chains of amino acids – which are the building blocks of proteins. Similar to those used by body builders to grow bigger faster. StoreDot also plans to release a charger capable of replenishing an electric car to full in just three minutes. Although it’s not likely to be commercially available for some time, the company hopes that it will go some way to solving the daily issues of never having enough battery power.The phone will work with direct sunlight as well as standard lights, in the same way regular solar panels. Revealed at CES 2015 the Energous WattUp is a router-like device that also uses radio waves to transmit but rather than data it dishes out power. A small adapter chip on the receiver device will allow it to harvest the energy from over the air at up to 20-feet away. The catch? This won’t be available for some time. But that could be a good thing as it gives gadget manufacturers time to include the charging chips in phones and the like so you don’t need to add that on. A car has been tested that managed to drive 1,100 miles on a charge. The secret to this super range is a type of battery technology called aluminium-air. This uses oxygen naturally occurring in the air to fill its cathode. This makes it far lighter than liquid filled lithium-ion batteries to give car a far greater range. Aluminium-air batteries drain turning the metal into aluminium hydroxide which can then be recycled to make new batteries. That will mean swapping out batteries every few months. But since it’s so much lighter and cheaper than current efforts it should offer huge mileage and be affordable. With the car industry throwing money at battery developments it might not be long before we see this tech under our bonnets. Using a Microbial Fuel Cell micro-organisms take the urine, break it down and output electricity – to put it simply. On a scale large enough to charge a smartphone there are several cells into which the urine is passed via tubes. The unit creates electricity and also expels a broken down version of the waste making it safer to dispose of. With Bill Gates working on re-inventing the toilet we’re expecting the porcelain throne to become a source of power in the home soon. The smartphone was built using a principle called the piezoelectric effect. Nanogenerators were created that harvest ambient noise and turn that into electric current. Effectively the phone can be powered from waste noise found around us all the time. Impressively the nanorods respond to the human voice meaning that those chatty mobile users out there could actually be powering the phone as they talk. Maybe this will cause a resurgence in phone calls over messaging. Tag Heuer has released a new version of its Meridiist luxury phone that uses solar to power the device. Wysips Crystal is a transparent photovoltaic component placed between the screen’s and the LCD screen. It is invisible to the naked eye but the thin layer of cells charge automatically when exposed to light from the sun or artificial. They then power the battery. The Meridiist Infinite was only released as a limited run, unfortunately. The batteries use carbon materials which mean they are more sustainable and environmentally friendly than current alternatives. It also means the batteries will charge twenty times faster than lithium ion. They will also be hardier with the ability to last 3,000 charge cycles, plus they are safer with lower chance of fire or explosion. Power Japan Plus has said it will begin producing 18,650 Ryden cells soon. Hopefully we’ll start seeing these appear in mobile devices soon. One possible future of power could be in organic batteries if a recent MIT discovery makes it to production. 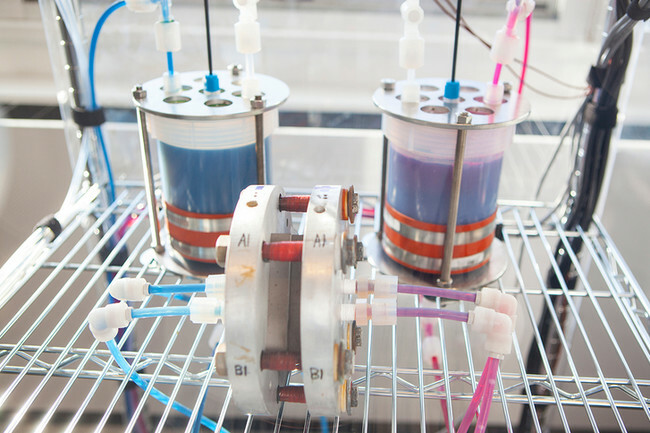 Scientists have created an organic flow battery that costs only $27 per kilowatt-hour compared to metal batteries at $700 per killowatt-hour – nearly a 97 per cent saving. Using quinone molecules, that are almost identical to those found in rhubarb, a battery was made that is not only as efficient as metal but that could also be made on a huge scale. This alternative type of lithium-ion battery that uses sand to achieve three times better performance than current efforts. The battery is still lithium-ion like that found in your smartphone, but it uses sand instead of graphite in the anodes. This means it’s not only three times better performing but it’s also low cost, non toxic and environmentally friendly. Now for the science part. Scientists, at the University of California Riverside, have been focused on nano silicon for a while but it’s been degrading too quickly and is tough to produce in large quantities. By using sand it can be purified, powdered then ground with salt and magnesium before being heated to remove oxygen resulting in pure silicon. This is porous and three-dimensional which helps in performance and, potentially, the life-span of the batteries. Scientists in Japan are working on new types of batteries that don’t need lithium like your smartphone battery. 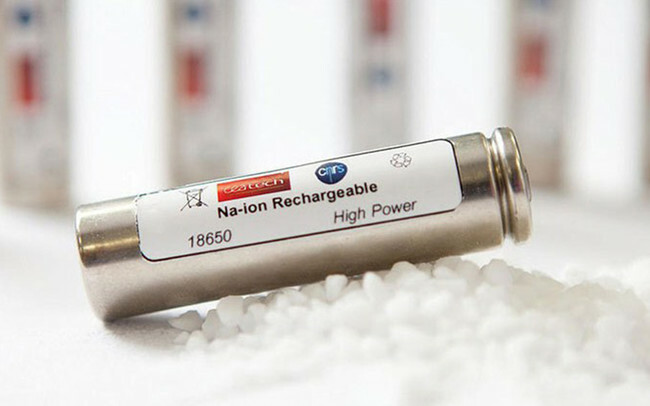 These new batteries will use sodium, one of the most common materials on the planet rather than rare lithium – and they’ll be up to seven times more efficient than conventional batteries. Research into sodium-ion batteries has been going on since the eighties in an attempt to find a cheaper alternative to lithium. By using salt, the sixth most common element on the planet, batteries can be made for cheaper and we won’t need to worry about lithium running out. With battery-powered cars on the increase it’s only a matter of time before lithium becomes too rare and expensive. The NTU battery should last for 10,000 charges according to its creators. The technology is currently being licenced by an unnamed company for production. While we’d love to see this in our phones soon the lead professor refers to electric cars when talking about the battery. „Electric cars will be able to increase their range dramatically, with just five minutes of charging, which is on par with the time needed to pump petrol for current cars,” said Professsor Chen. The longer battery life makes sense for those buying an electric car. 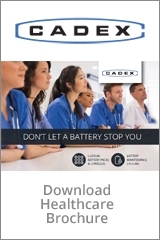 The 10,000-cycle battery should cut down battery replacement in cars and equate to a 15-minute charge for the entire car. The nanobattery breakthrough was made by creating tiny „nanopores“ that act like lots of little batteries which, in a honeycomb structure, make a full battery. The research was published by scientists at the university of Maryland who said: „We were blown away by the performance.“ They attributed the enhanced performance to the short distances the electricity needs to travel, making the batteries far more efficient. It’s not just scientists and start-ups working on improving battery life in your gadgets. Google recently hired a former Apple battery expert to work on improving current batteries as well as creating new ones. Tesla is constantly innovating in the battery space to help improve the efficiency and performance of its electric sports cars. Apple is rumoured to be working on batteries, potentially, for a future Apple Car. In time, the technological leaps made in labs around the world will bring new kinds of batteries to the market.